Russia Dumps U.S. 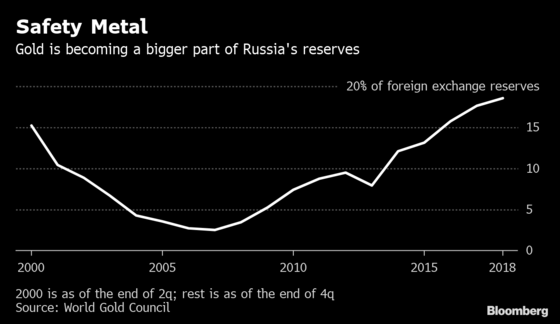 Dollars and Buys Gold As "Safety Metal"
(Bloomberg) -- Vladimir Putin’s quest to break Russia’s reliance on the U.S. dollar has set off a literal gold rush. Within the span of a decade, the country quadrupled its bullion reserves, and 2018 marked the most ambitious year yet. For Russia, experts are starting to question whether it can afford to keep up its intense pace of buying. Some say the country will import more gold to guard against geopolitical shocks and the threat of tougher U.S. sanctions as relations between the two powers continue to deteriorate. Gold buying last year exceeded mine supply for the first time. Still, others argue that Russia’s bullion demand. 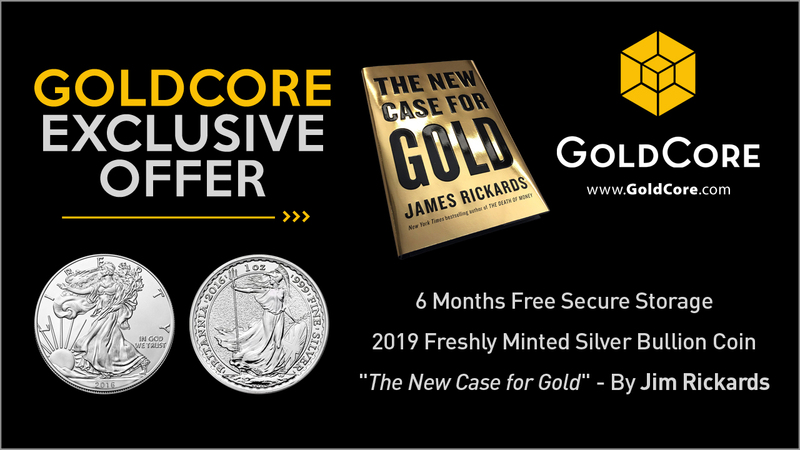 Central bank buying has helped “strengthen gold from a weak hand to a strong hand” and supported gold prices in recent years, according to Ronald-Peter Stoeferle, managing partner at Liechtenstein-based asset manager Incrementum AG.